The event will feature new Resistance Division, the return of Demolition, new weapons, 2XP events, The Resistance Gear, and more! The Resistance Division will become available starting January 23 for free for all players. 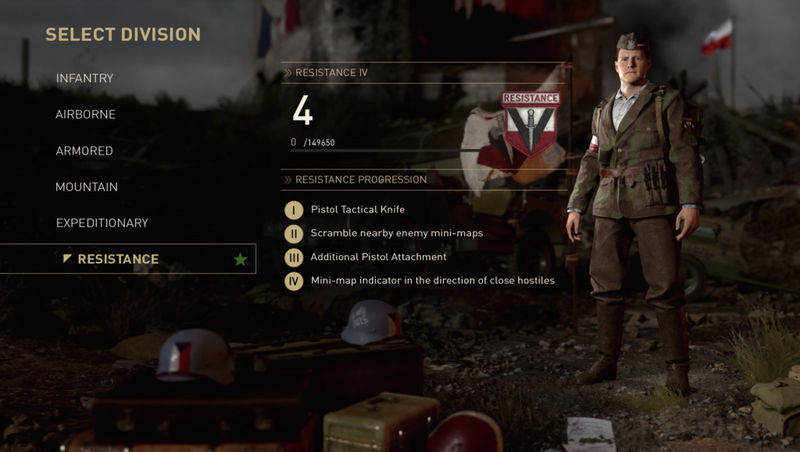 With the Resistance Division, players will be able to equip a Pistol Tactical knife combo. In addition, abilities include scrambling enemy mini-maps nearby, bonus pistol attachment, and a mini-map indicator in the direction of nearby hostiles. There is also a new pistol, the 9mm SAP Pistol. Alongside this, Captain Butcher will return as the Quartermaster with all new The Resistance themed items. There are new weapons in this update, including a new AR, Volkssturmgewehr; a new SMG, the Orso a new SMG; a new melee weapon, the Combat Knife. Similar to Winter Siege event, the weapons can be unlocked through Special Orders that will be available from Major Howard during the event. In addition, the weapons will have their own Collections during the event, so players can unlock the weapon via Collection Rewards. Players will also receive one free Supply Drop every week as part of the Resistance Event. This event brings a new Resistance themed Supply Drop. Players can visit the Mail Station each week to collect their free supply drop. 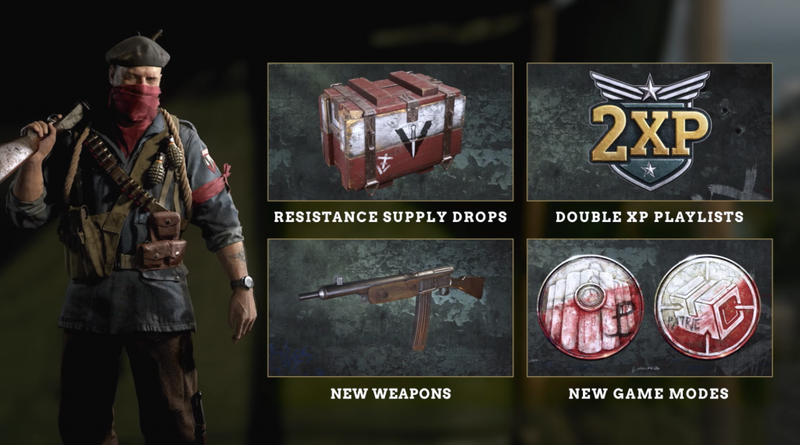 Players will also be able to, optionally, purchase Resistance Supply Drops from the Quartermaster during the event.